A BBQ meal and one free beer or soda is included with the 50K & 10 Miler Race. You must register by July 31st to guarantee a participant shirt. Enter the code NOSHIRT to save $5 and pass on the event shirt. The Marlette 10 Miler starts at Spooner Lake and heads north on the North Canyon Trail. Then heads along the south shore of Marlette Lake to the Marlette Lake Trail and back to the finish. This is a beautiful run featuring views of the canyon and Snow Valley Peak. There is a $10 fee to park at Spooner Lake State Park for the day. The final cut off time for the race is 8hrs. (15+ min per mile pace). There will be intermediate cut-offs along the course. Yes, walkers are welcomed at each set of races except for the marathon distance. There is no age minimum, however if you are under then a parent or guardian need to sign a waiver for you to compete in the Trail Running Races. Howe often are the water stops supplied? This depends somewhat on the race but in general we have water stops every couple of miles. There is a large amount of information and debate on the subject of altitude affecting athletic performance. Here are some helpful links regarding various techniques and discussion on the impact of elevation. What is cut-off time for the trail running races? 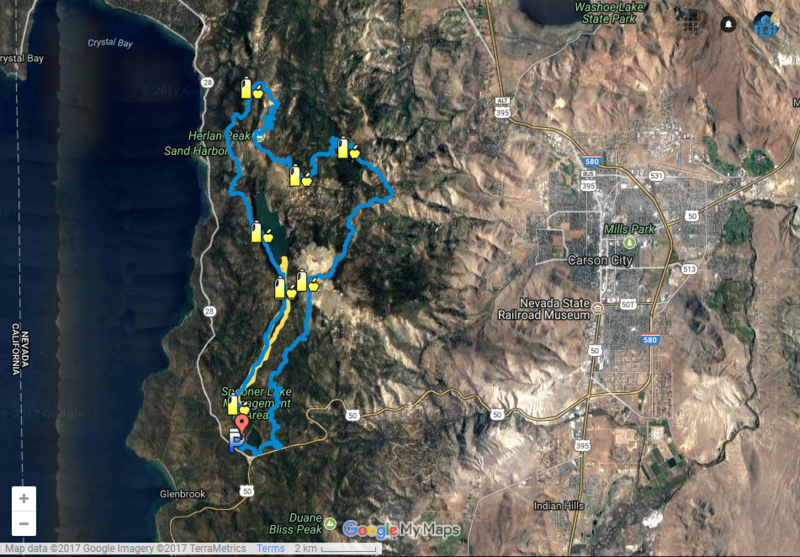 How was Marlette Lake Tahoe 50K & 10 Miles Trail Run?